Research shows that getting less than six hours of sleep per night can lead to a significant decline in cognitive abilities and reaction times. For students at the MHacks hackathon, a lack of sleep only seemed to fuel their creativity and inventiveness. On the night of Friday, Feb. 1, 2013, more than 550 students from across the United States and Canada descended upon the University of Michigan (U-M) for 36-hours of non-stop hacking, defined as playful, exploratory computer programming. 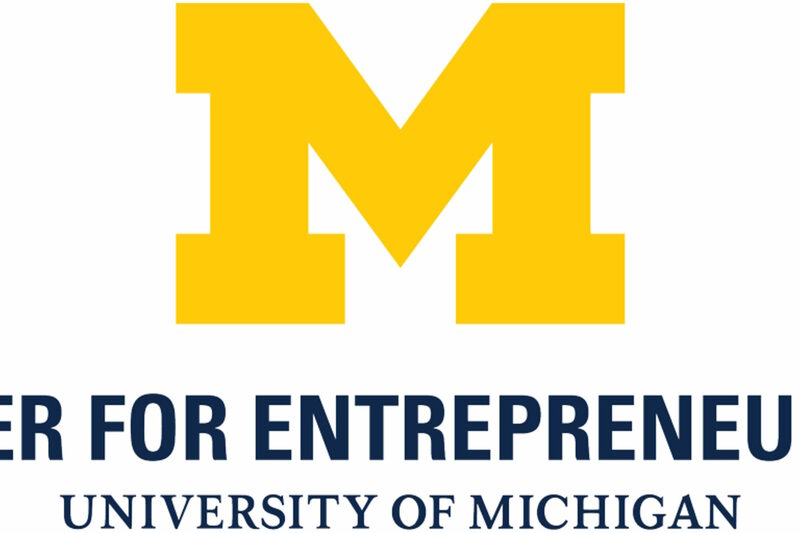 Organized by U-M student groups Michigan Hackers and MPowered Entrepreneurship, MHacks is now believed to be the largest student-run college hackathon in the country. While some of the students arrived with an idea for a hack, many concepts and teams were formed on the spot. The majority of hacks took the form of web and mobile applications. Through hacking, students experimented with new programming languages, met fellow computer science enthusiasts from different universities, and created products with the potential to disrupt markets and improve people’s lives. Danyaal Rangwala, a U-M junior studying informatics and computer science, said the hackathon gave him the chance to work with hardware. He programmed an arduino, a small, simple, single-board microcontroller used to create interactive electronic objects, to boil water in response to a Twitter hashtag, and hopes to continue to find similar ways to use the mini circuit boards to automate daily life. She teamed up with three Michigan Engineering computer science undergraduates to create Vaccinate Me, an app that encourages college students to get vaccinated by telling them what vaccinations they need and where they can get them. The hack won the Best Michigan Team prize, sponsored by the Center for Entrepreneurship, for designing an impactful solution to a real-world problem. “Imagine what would happen if experts from fields like public health, foreign language, or mechanical engineering paired up with computer scientists. You could build something so incredible for any discipline,” said Flynn. In addition to hacking, participants attended meet-and-greets with sponsoring companies and talks by computer science engineers and professors. The event took place at U-M’s Palmer Commons. By the end of the weekend, tables and floors were strewn with empty Mountain Dew bottles, Red Bull cans, pizza boxes, and wrappers from caffeinated baked goods. “I slept for, like, 1.5 hours last night,” was a common refrain amongst participants. Though communal nap rooms were available to hackers, teams worked almost ceaselessly to finish their projects before the final showcase late Sunday morning. Hacks were evaluated based on commercial viability, user interface design, uniqueness, execution, complexity, and overall cool factor. A total of 11 branded prizes were awarded by sponsors, such as Facebook, Pearson, and a16z.The top ten teams, selected by industry experts and audience members, demoed their hacks to a packed 500-person lecture hall in the U-M Chemistry building. The first-place winner will compete at the Facebook Global Hackathon Finals at the end of November. Both the first and second-place winners won trips to the Bay Area for the ReadyForce Innovate weekend. Event organizers said they believe they accomplished their goals of inspiring entrepreneurship in tech students and giving them the opportunity to apply what they’re learning in the classroom to something they’re passionate about. The group is planning to make MHacks a bi-annual event and to collaborate with students from other schools to help them hold hackathons on their own campuses.